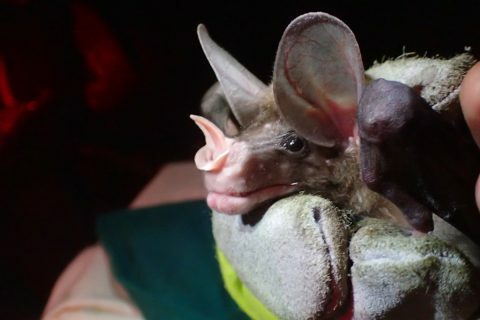 Bat abundance in the Calakmul Biosphere Reserve is very high due to the huge expanse of primary forest and presence of multiple caves that act as roost sites. 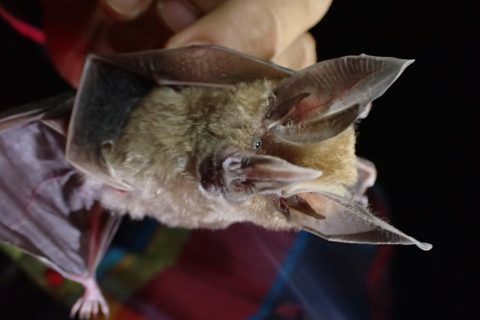 Moreover, some of the rarer carnivorous bats such as the great false vampire bat are flourishing in Calakmul due to abundant food supply and Mayan ruins which they use as roost sites. 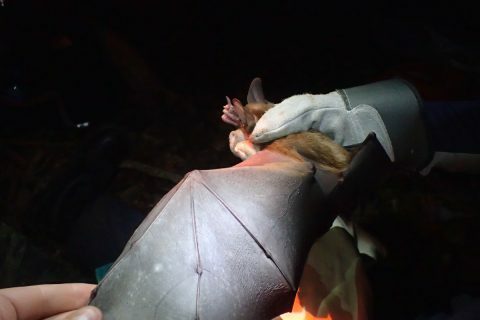 Calakmul, therefore provides an excellent site for bat research projects as the large numbers of captures provide a substantial dataset and the opportunity to learn bat handling techniques. 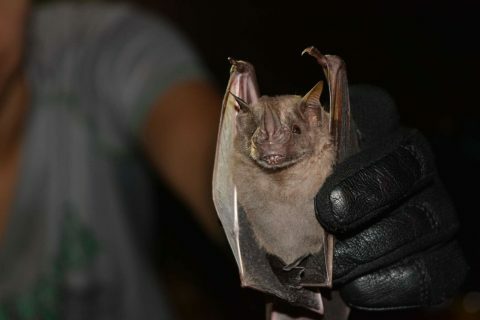 Bat diversity is unlikely to be uniform throughout the reserve due to changes in the habitat resulting from vicinity to ruins sites (Mayan ruins contain unusually high densities of large fruiting trees as a result of Ancient Mayan agroforestry) and distance from temporary lakes knows as aguadas that are the only sources of water in the reserve. Students will investigate bat abundance and diversity using mist net surveys in conjunction with bat detectors that record bat vocalizations. 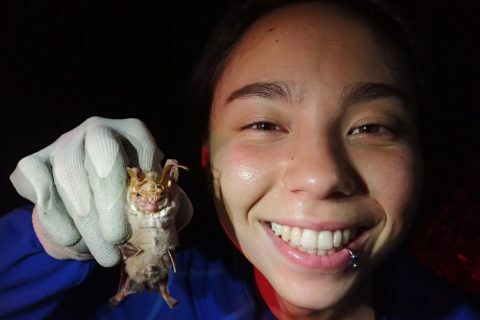 These combined methods will provide data on the carnivorous, frugivorous and nectivorous bats that are frequently caught in the nets and the insectivorous bats that have such fine-tuned echolocation that they can detect mist nets and are therefore virtually impossible to capture. These data will be collected across a range of transects in the reserve that encompass different habitat characteristics. Each transect contains a number of 20m x 20m habitat survey plots that provide detailed information of the forest characteristics in the area. In each of these plots, tree species will be identified, tree DBH, understorey vegetation, canopy openness, and the number of saplings will be measured. 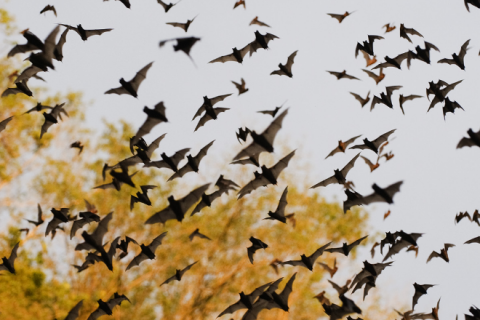 Bat data from each transect can then be related to mean habitat characteristics for the transect and comparisons between bat diversity and habitat variables may be investigated. 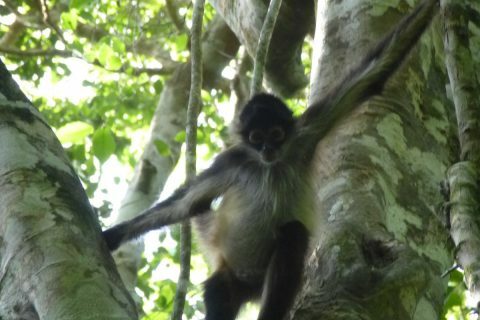 and primates are being used to evaluate the impact of climate change and changing rainfall patterns on the abundance, ranging and diversity of fauna to help determine when and where mitigation should be used to restore water sources. Data are also used to assess the efficacy of a range of sustainable development projects with buffer zone communities designed to minimise forest encroachment. 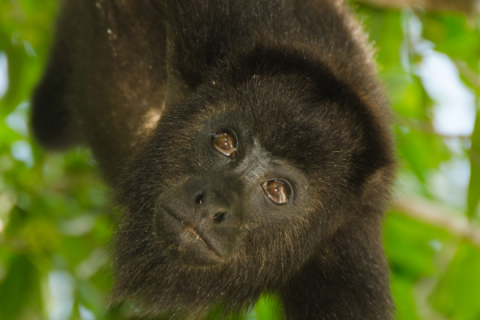 In addition, there are specialist studies on jaguar and their preferred prey, behaviour of spider monkeys and population levels of Morelet’s crocodiles. Cost of internal travel to and from the start and end point of the expedition, plus any hotels you might require. This costs around £215 or $312 on average. Extra nights’ accommodation in Cancun costs around £61 or $88. Vaccinations and prophylactic medicines – cost can vary depending on your healthcare provider. In Mexico it is hot and humid. Temperatures rarely drop below mid 20s even at night. It is unlikely to rain much, but you do get occasional heavy showers during the season. Medium in the forest, low on the marine site. 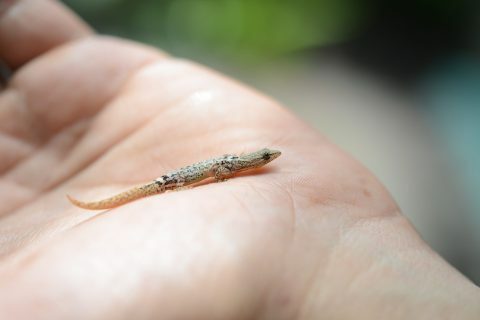 There are some reasonably long walks through the forest, terrain varies by camp with some being almost completely flat and others more undulating. On the marine site lower levels of fitness are required (although you will likely be very tired at the end of the day after the in-water sessions). Facilities in the forest are basic (sleeping in tents or hammocks in a camp site), with a mixture of dry and trench toilets. There are freshwater showers but water conservation is particularly important to bear in mind. There are some limited opportunities to buy snacks at some forest camps and there is no phone signal at any of the sites. On the marine site the facilities are a little less rustic – you sleep in bunk beds in dormitories about 10 minutes drive from the beach. There is good phone signal and the site is well supplied with shops. Mexico is a large country with a population of over 120 million people though this is largely concentrated in densely populated cities with over 9 million of living in Mexico city alone. 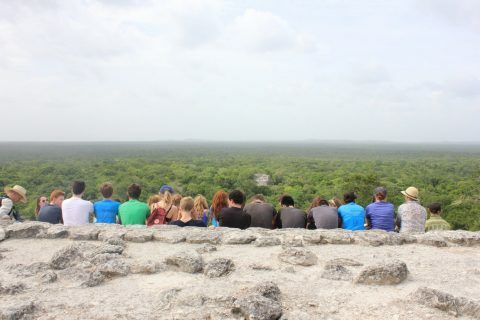 Mexico is a country famous for it's amazing beaches, fantastic wildlife, Mayan temples and of course the fantastic food! Spanish is the most common language across Mexico though in some of the areas we work then various dialects of Mayan are also very commonly spoken.